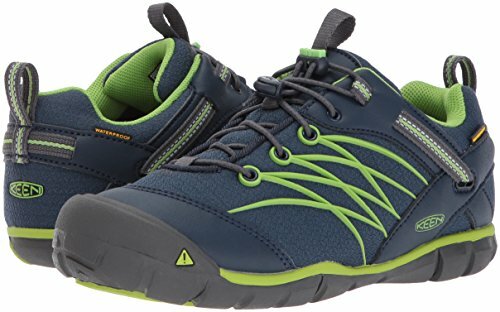 » The Top 8 Best Toddler Boots for Hiking! Hiking can be an amazing adventure for small children. It gets them outside the house, it allows them to explore nature in a safe way and allows some quality time as a family. However, as any parent of a toddler will tell you, if a toddler is uncomfortable the whole family is uncomfortable. One of the best way to ensure that your toddler is happy, content, and comfortable is to invest in a quality pair of hiking boots. It is important not to underestimate the need for a good quality hiking boot for all members of your family that hike, and your toddler is no exception. We need to keep our feet protected and avoid injury and a good pair of hiking shoes are the best way of doing that. In this guide, I have three main sections. The first discusses some points of concern when buying hiking shoes for toddlers and tips for choosing the right boot. The second section contains some features that should be considered when picking a good hiking boot. Finally, the third section has a list of the top four high top and the top five low top hiking shoes for toddlers. Points of concern and tips for choosing the right boot. 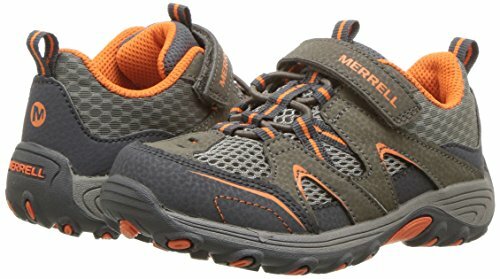 Merrell Little Kids Trail Chaser Jr. Growing Kids: As all parents know children grow incredibly fast. Due to this your toddler may only get a few months to maybe a year until they need a bigger shoe size. Due to the quick growth of their little feet, a little wiggle room is not a bad idea. However, avoid the temptation to buy a shoe too large to extend the shoe’s life. If there is too much room the shoe may cause discomfort and not used at all. Comfort: The second point of concern is ensuring comfort for your toddler. 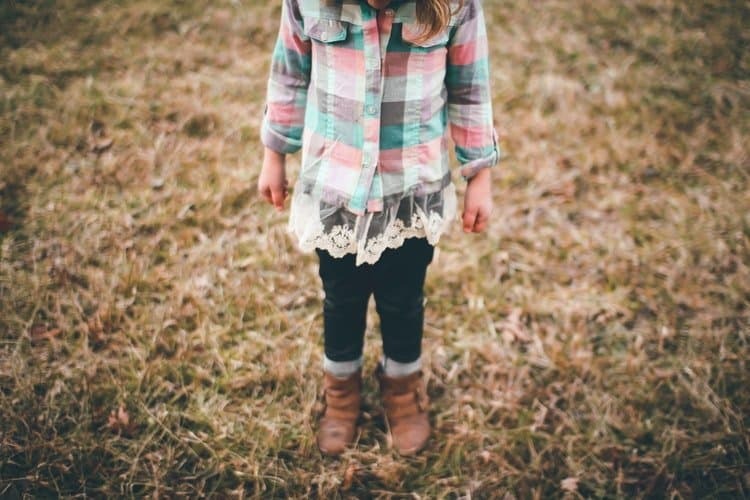 At this age kids are very impatient, so ensuring a good fit can be difficult. Make sure that you have your child walk around the store and break them in at home a little before you go out for a hike. 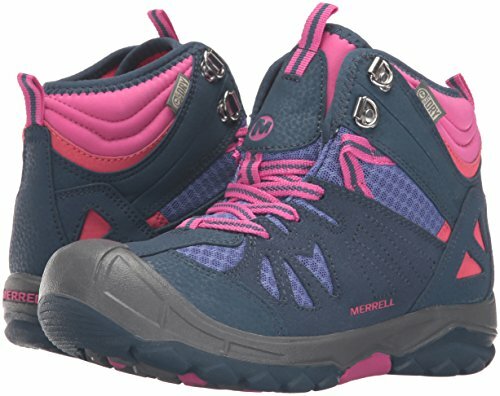 Style: Kids hiking boots come in a variety of colors and styles. There is something to fit everyone’s needs. 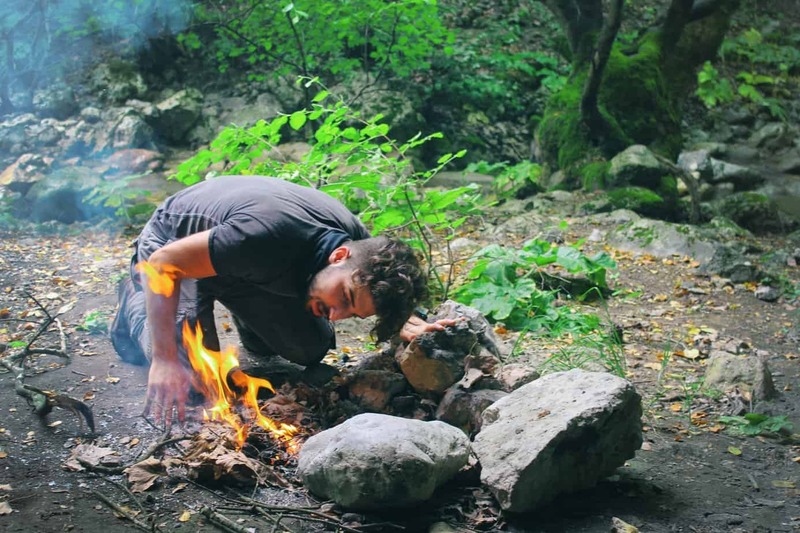 Make sure that you are picking a style that is proper for the type, length, and terrain of your hiking areas. The style of shoe that you would wear in a cold, mountainous and forested region would be strikingly different from the style that you would wear for a flat, sandy, and warm climate. 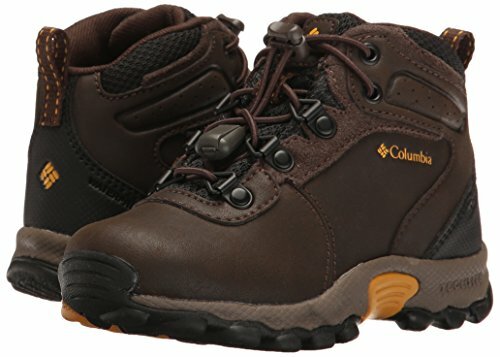 Price: The price of a toddler hiking boots is very low compared to the adult versions. This is comforting due to their relatively short life. The price, as with all shoes, is dependent on the material used and the brand of shoe. However, regardless of which one you choose a toddler hiking shoe will still be significantly lower priced than an adult version. Boots Features: There are several key features to look for in a toddler hiking boot. These are listed below. Just remember that you want to pick a shoe that is comfortable for the most common hiking terrain, a shoe that is supportive of their feet and protective of their ankles. Toddlers are high energy, and their potential fast speed and lack of complete coordination make them very prone to injury. A supportive shoe will help alleviate some of this risk. TRACTION AND GRIP: The risk of varied terrain is great while hiking. Make sure that you are taking into consideration if there is going to be muddy, wet, sandy, or slippery surfaces on your trails. Also, most kids like to climb on things, jump in puddles and explore places that are different, These factors make is extremely important to make sure that there are good traction and grip on the shoes that you are getting for your toddler. Customer reviews and product specifications are the best places to look to ensure this. Try to find a shoe with a rugged outsole and a high review. LIGHTWEIGHT: Due to their small size the best shoes for toddlers would be as light as possible. Try to get a shoe that is of similar weight to the shoes that they wear on a daily basis. This should help them want to walk a bit more and be carried a bit less. WATERPROOF ABILITY AND BREATHABILITY: Shoes that have are waterproof or are water resistant are extremely useful for toddler hiking shoes. Not only will this help if you know that you are going to be hiking during wet weather or wet patches, but keeping our toddlers’ shoe dry will also make them less irritable from an unplanned rain shower or puddle exposure. Also, keep in mind how breathable the shoe is. If you know that your little one tends to have hot feet or are especially sensitive to warm or wet feet, try to look for a mesh on the shoe. Remember that some shoes that are completely waterproof and not just water resistant can be warm, so gauge what is more important to you and your location. 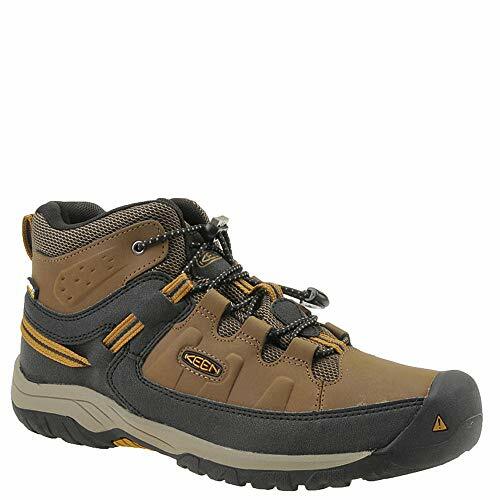 This mid-rise hiking shoe has a waterproof leather and textile upper fabric, and has a breathable mesh lining. It has rubber outsoles for a trip and a lighter weight. It is also designed with an EVA footbed for added for cushioning and comfort. These shoes also have a bungee lacing system that makes them easy to put on yet secure for little ones. It comes in 6 colors and sizes toddler sizes 8-13. These shoes retail from the manufacturer at 75.00 and have positive reviews. Customers rave about the bungee lacing system saying that it makes putting these shoes on little feet easy. This tennis shoe style hiking shoe has a lot of amazing features. A waterproof, breathable membrane and padded collar keep them cool yet water resistant. An adjustable hook and loop closure make them easier to put on and take off. And the sole has a contoured arch for support. It comes in 4 colors and sizes toddler sizes 8-13. These shoes retail from the manufacturer at 65.00. Customer state that these shoes are made extremely well and the weather nicely. They do state that they seem to run a little small and some customers are experiencing problems with insole sliding inside the shoe which they state is more of an inconvenience than a real issue. This shoe contains a hook and loop closure for great fit. A suede and mesh upper fabric for breathability and comfort. An EVA removable footbed and an M Select GRIP outsole for superior traction. It comes in 1 color and toddler sizes 6 – 10 including 1/2 sizes. Customers state that these shoes are very durable and are easy to clean. Also, the hook and loop closure makes them easier to put on little feet. Customers also state that they run true to size. This hiking shoe contains a waterproof breathable membrane, a bungee lace system., and a padded tongue and collar for added comfort. An ESS shank added lightweight support and a PFC-free surface provides a durable water repellent. It comes in 4 colors and toddler sizes 8-13. These shoes retail from the manufacturer at $70.00. Customers state that these shoes run true to size and have a very thick reinforced toe. 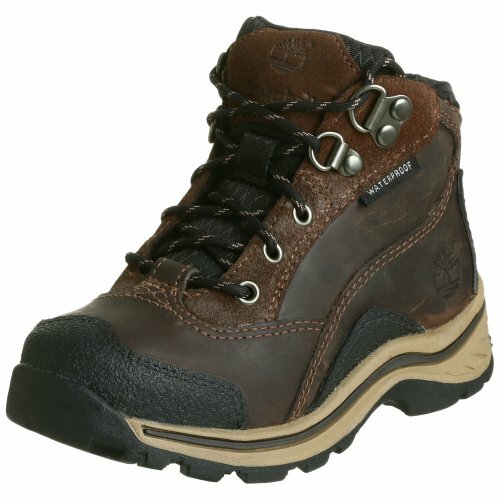 This high top hiking boot has a Waterproof PU coated leather upper and an Omni-grip high traction rubber outsole. A leather toe cap adds security and stability. It is available in two colors and an impressive size range from toddler 4-7 thru small kid 8-13, into big kid 1-7. Customers state that these shoes are well made, but they fit a little small. Also, some customers state that the shoelaces are a little short. These boots are stylish and comfortable. They have a waterproof full-grain leather upper with waterproof seam construction. They contain a mesh lining footbed cover for comfort and a sock liner that helps with fit and temperature control. The hardware is rustproof. And the outsole is rugged with a large tread for great traction and shock absorption. These shoes are available in 1 color and come in sizes 1 thru little kid 12. They retail for $50.00. Customer state that they are rugged and surprisingly lightweight despite its appearance. 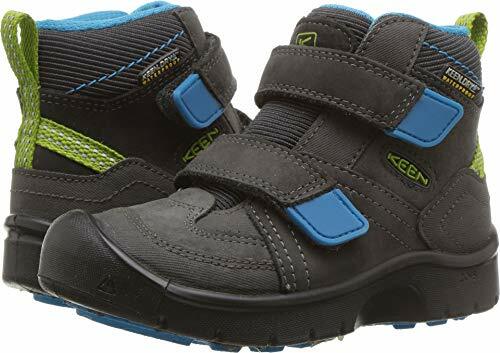 This shoe was designed off of their very popular adult version, therefore it is made with tried and true technology to make your toddler’s feet super comfortable. They are made with the KEEN DRY waterproof breathable membrane. A waterproof leather and textile upper fabric. A secure lace and hook and loop shoe string system. A padded tongue and TPU heel for stability. Finally, a PFC-free water repellant keeps these shoes dry. These shoes come in 4 colors and toddler sizes 8-13. They retail for $70.00 (Check out the latest rates here!). Customers state that they keep feet very dry and that the closure system is easy for kids to use. This boot has been made of suede and meshes upper making it breathable and very comfortable for your kids. It also features the Merrell technology called M-Option Dry that helps in assists in wicking the sweat out of the kid’s boot. The suede and mesh upper are built to last a long time and so is the rubber sole. Removable EVA footbed will keep your kid very comfortable and it helps in shock absorption. Its outer coating is waterproof to ensure that your kid’s feet are always dry and warm. The M-Select Fresh advancement prevents odor from forming even when your kid stays too long in the boots. The shoe is available in 4 colors and in sizes toddler 1-little kid 13.5. Half sizes are also available. They retail for $30.00-$60.00 (Check out the latest rates here!) depending on location. Customer reviews for this product are very high. They say that there is a great toe guard and that the ankles are stiff enough to keep ankles from rolling. The soles are thick with good tread, but still lightweight and comfortable. 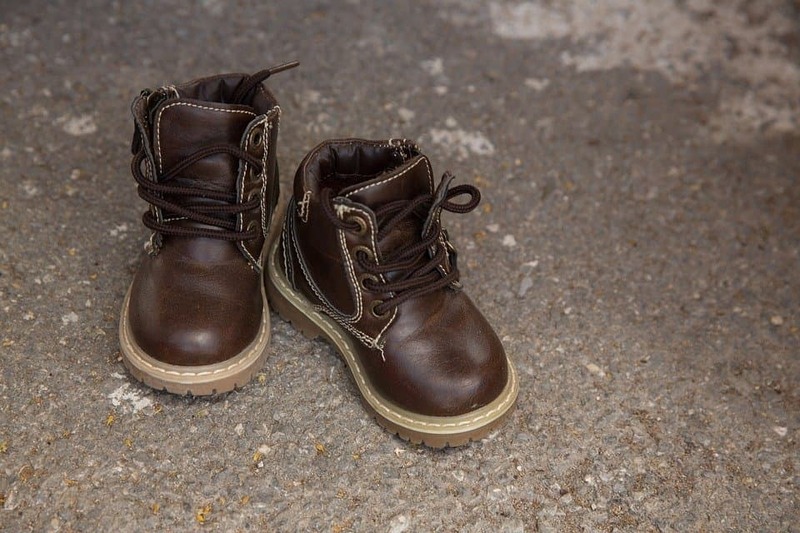 Hopefully, this article will guide you on your way to select a hiking boot for your toddler. Remember to wear them in a little before your first outdoor excursion, and that comfort is very important for their growing feet. Above all, remember that this is a fun adventure for all involved and that with proper gear these trips should bring a lifetime of memories and good experience.